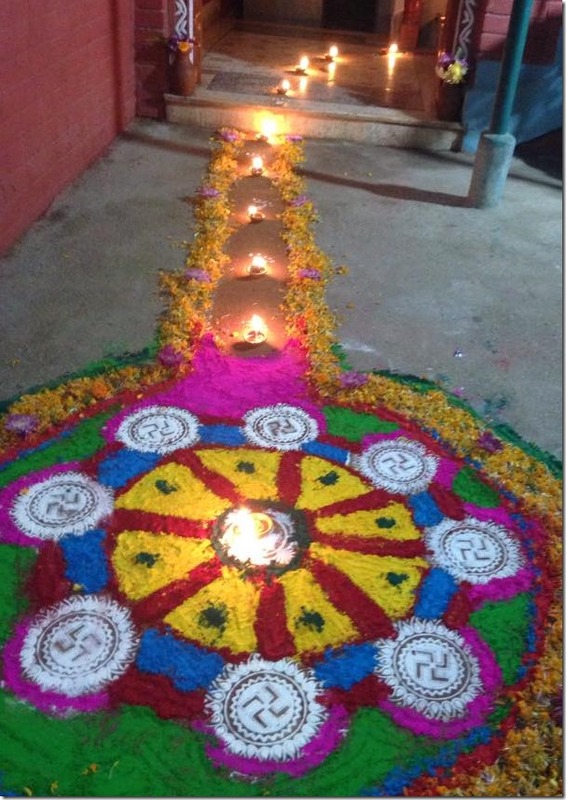 It is Deepawali or Laxmi Puja again. The festival of lights. 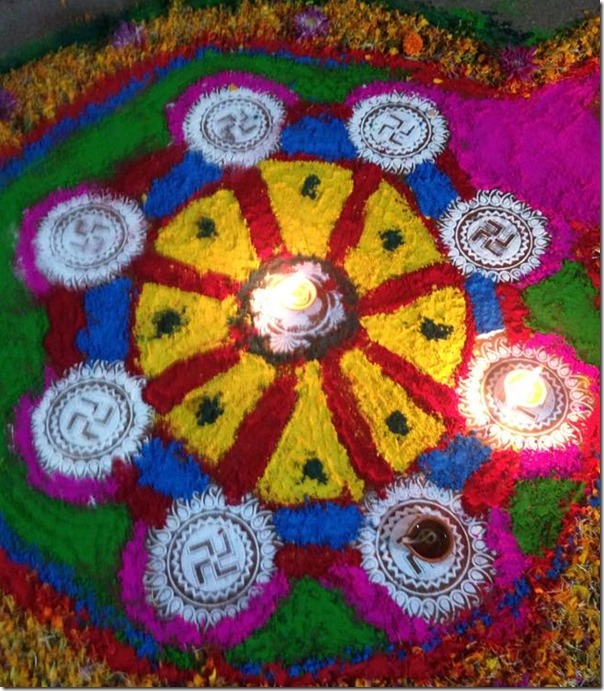 The festival of fun entertainment, and rangoli. 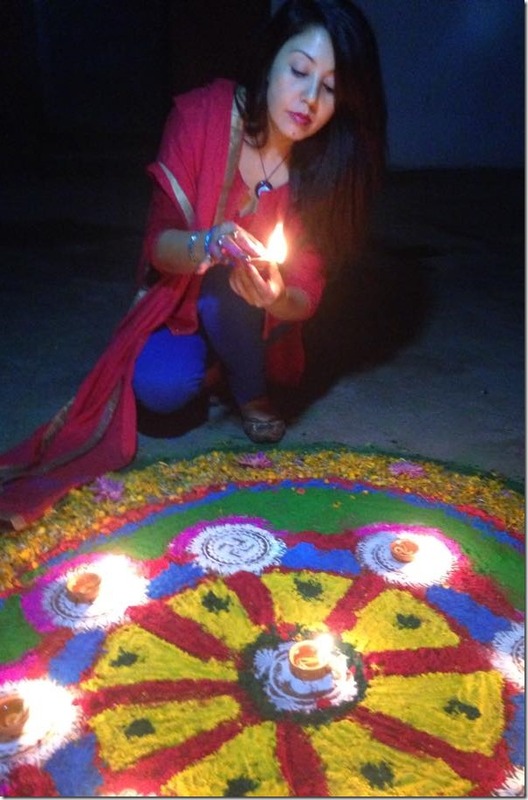 Like every previous years, Karishma has drawn the colorful rangoli in front of her house in Godavari. 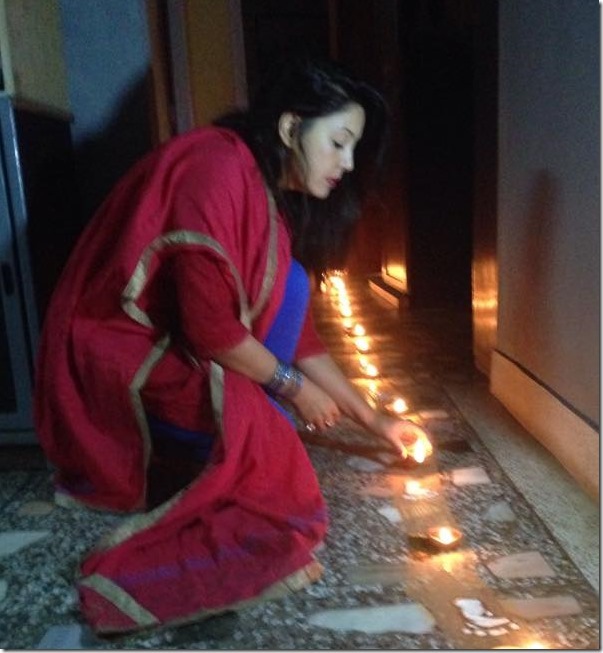 Here are some photo of 2014 edition of Deepawali.